It’s a simple fact of life—we’re BUSY! Regardless of what stage of life you may be in, there will always be bathrooms to clean, dinners to cook, outings to plan, people to visit, and just plain ol’ work to do. That’s why many busy bees love our Picture My Life™ scrapbooking programs for quick, trendy scrapbooking. And what’s the perfect stamp set to pair with all your pocket scrapbooking pages? 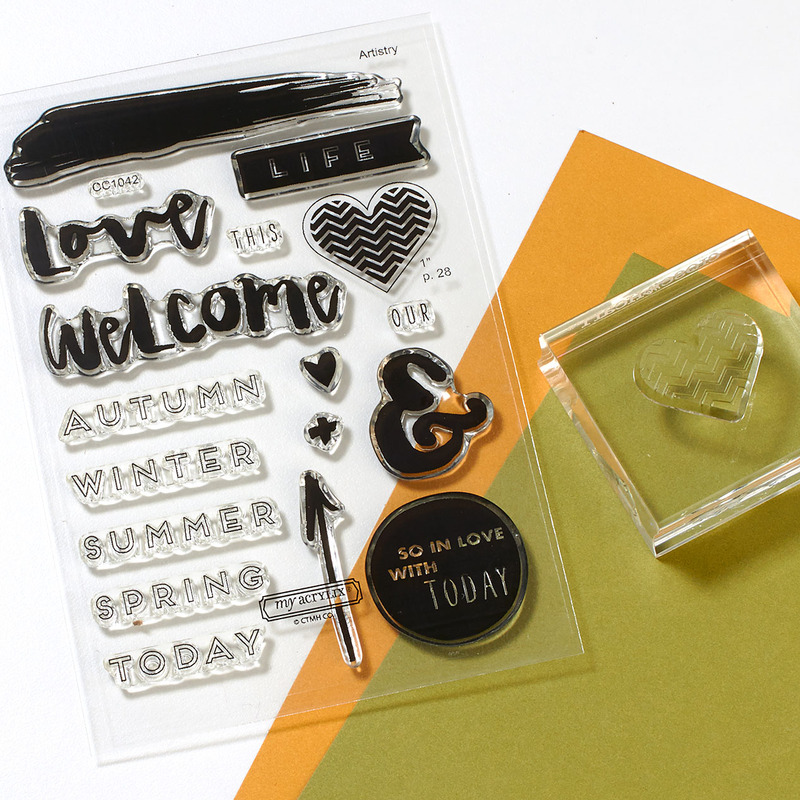 The My Acrylix® Hello, Life!—Pocket Scrapbooking stamp set, of course! Look at how these stamps really bring this page to life! A quick look at the recipe for this page will reveal that there is not one Picture My Life card used on this layout—only some White Daisy cardstock, a smidgeon of Paper Fundamentals, a few Picture My Life clear overlays, and the extraordinary stamp images from this set! Isn’t it amazing how a little stamping can add such texture and personality to a piece of simple White Daisy cardstock? 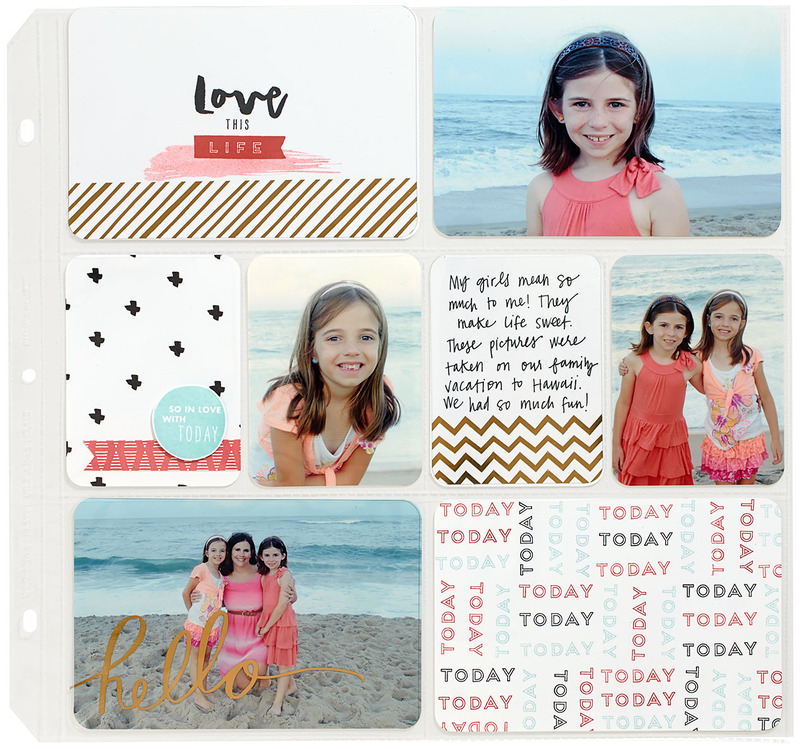 To create the “TODAY” card, our artist used White Daisy cardstock and the “TODAY” sentiment from this stamp set to create a unique look that coordinates with the girls’ clothing. And take a look at the plus sign card! A snippet of the Paper Fundamentals Whimsy pack and the “SO IN LOVE WITH TODAY” sentiment from this stamp set make the card almost as cute as the picture sitting next to it. Even the “LOVE THIS LIFE” card was made using a combination of stamp images and a clear Picture My Life overlay. This stamp set, as well as the other two Hello, Life! stamp sets, are only available until the end of the month, so grab them while you can! Also remember to share your Hello, Life! artwork by using the hashtag #ctmhhellolife and #ctmhnsm for National Stamping Month. You can also find more artwork inspiration by searching for these hashtags on Facebook, Pinterest, and Instagram. I LOVE the PML system and this HelloLife! stamp set has been so fun to make my own PML cards! Thanks for creating such a neat stamp set! Love this, love how the today pocket card was created.